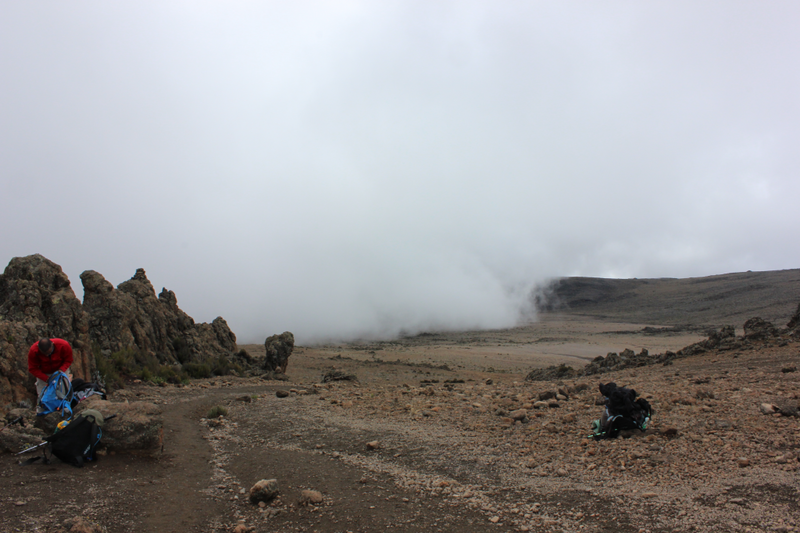 From the dry lava streams of 3rd Cave Camp, we slowly make our way up towards School Hut campsite. 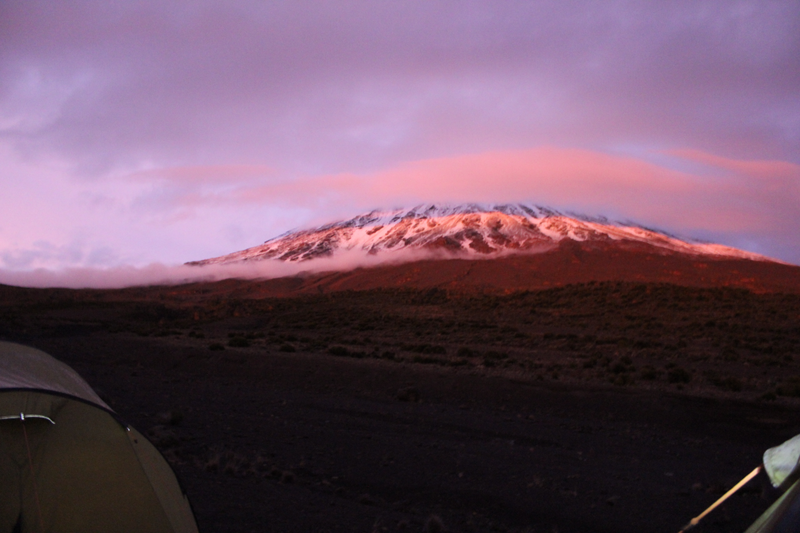 A shorter hike than normal, as we will begin our summit later this evening. 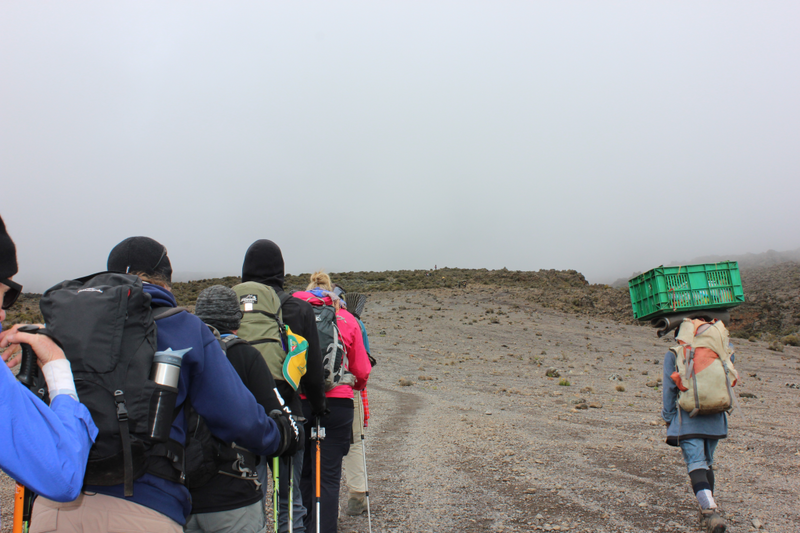 The day's trek is slow and steady, as we walk across a moon-like scene of colourless rocks, climbing slowly nearly 800m higher.